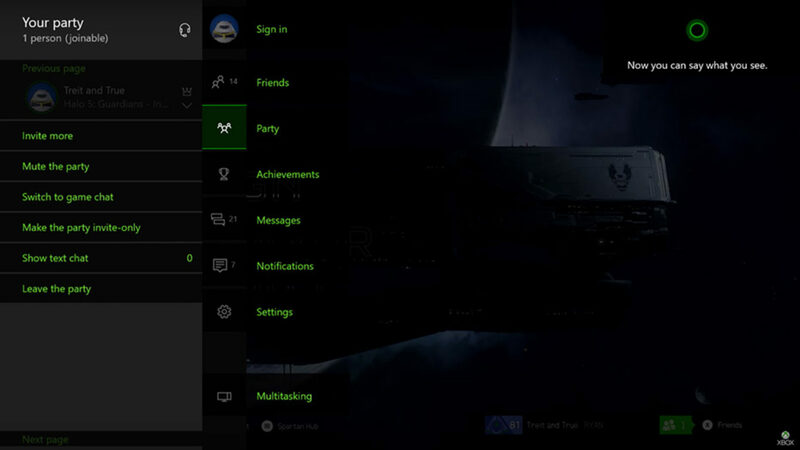 So we finally managed to get our hands on the new Xbox One Preview Dashboard, and as someone who uses Siri probably a lot more than most on iPhone I was actually really looking forward to using Cortana to get things done quick on the Xbox One, especially since I’ve never had a Kinect for mine and could finally use my headset. After just a little bit of testing, I can tell you that I was less than impressed with just how terribly Cortana works. Don’t get me wrong though, because it’s not about the voice dictation or understanding what I am saying; Cortana picks up my words perfectly, she just does the most incredibly idiotic things with them. Here’s a few examples of what I said, ideas I tried and what Cortana did in response. This is a game that is installed but I have never even launched it before, obviously meaning it wasn’t the previously played game either and so apparently Lover’s in a Dangerous Space time is like… the game of all games you guys. It did this twice and I still have no idea why it’s the chosen game. This was getting really frustrating. Cortana: *Bing searches “Show my friends”. Cortana: *Bing searches “Hey Cortana”. You can really only get anywhere by saying straightforward items like “Hey Cortana, friends” or “Hey Cortana, Store”. Even then, at one point I said “Hey Cortana, Games and Apps” and you guessed it… it Bing searched “Games and Apps” instead of launching Games and Apps on the console. I’m not sure what it’s trying to do here. In case you haven’t noticed, Cortana really wants to Bing things for you, even if you search for a game on your Xbox or like the way you would search for a game on Xbox 360 and be taken to that game in the store, Cortana wants you to go the the snapped Cortana bar and see a Bing search instead. I spent roughly 15 minutes just trying to use Cortana over and over again and the experience was nothing short of infuriating to say the least, and something that I could never see people actually trying to use. I say again that it wasn’t that it wasn’t picking my words up right, it did a decent job most of the time, and I’ve only based this on when it did detect the right words. I did manage to launch a few games, and go to the store etc eventually using really basic wording, but Cortana as a Siri-level assistant is currently in worse shape than the Xbox 360 was with the basic kinect voice activation. I tried to get Cortana to quit the game I was playing, but boy oh boy was that impossible. The first time I said “Close Game”, Cortana picked it up as “Team is Gay”. Okay, very fitting for a typical online lobby full of dirtbag teenagers playing COD there… Xbox”. I tried “Quit Game” maybe 5 times, and I think the most annoying thing of all is that Cortana kept detecting the word “quit” but then ultimately swapped it out for “Twitch” as it processed, over and over again and what would Cortana be if it didn’t eventually lead to it Bing searching “Twitch Game”, leaving the snapped version of Cortana hanging open for me to unsnap *again*. I know that this is a preview build, and some bugs I saw like Cortana becoming unresponsive while in “say anything on the screen” mode are to be expected, but as for the parts where she was doing the wrong things with the right words? My faith in this feature has tanked pretty hard, and I’m really one of the few that champions voice commands and their ability to make life easy when working well. The thing that originally got me so interested in Cortana on the Xbox was that you could start a party and invite a friend with just a few words while playing. The videos shows “Hey Cortana, start a party and invite [friend gamertag or even real name] and hey presto, it created the party *and* sent the invite out. I was at best able to start a party, but as for inviting anyone easily? No go. I only invited a friend to a party once… and it was by mistake… and it wasn’t anyone I actually wanted to invite. I haven’t used Cortana much on phone or Windows, so I’m not entirely sure how effective she is there, but if this is any indiction on how Cortana is going to pan out on Xbox One, we may as well forget that the feature was even there. I really want to believe that these are issues that are going to be resolved by the time the final dashboard update comes out, but the way things stand right now, my hopes aren’t very high at all.